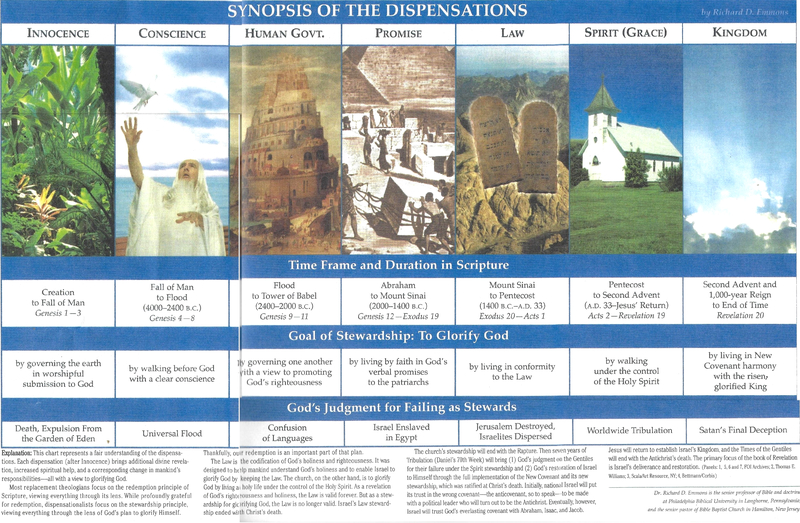 This is a chart of the seven dispensations of man’s history, according to the dispensationalist view of the bible. You can find it here: (Click Here). 1) If you want to see it on your screen, just click! After the image loads, click on the image to expand the image to full size. 2) If you want to download it, then right click on the link, and click Save link as. a) The instructions may or may not vary. I do not own a Mac computer. It is a rather large chart, and you will have to download it to see it all.